UCF (University of Central Florida) has been getting a lot of attention lately for it’s football program but the basketball program is accelerating quickly to catch up. In 2009, Jermaine Taylor was drafted from the Knights in the second round of the NBA draft and currently plays for the Houston Rockets. 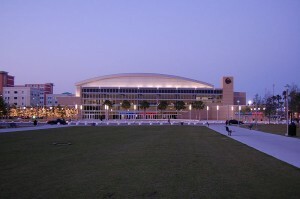 In 2010, UCF hired a new basketball coach in Donnie Jones, who was an assistant coach to Billy Donovan when the Florida Gators won their back-to-back championships in 2006 and 2007. Just prior, UCF opened up it’s new basketball arena, and recruited Marcus Jordan, son of Michael Jordan, to play for UCF. Jordan led the team with 18 points as the UCF Knights had their biggest win in their history against the Donovan led #16 Florida Gators at the Amway Center on Wednesday, December 1, 2010, with a score of 57-54. 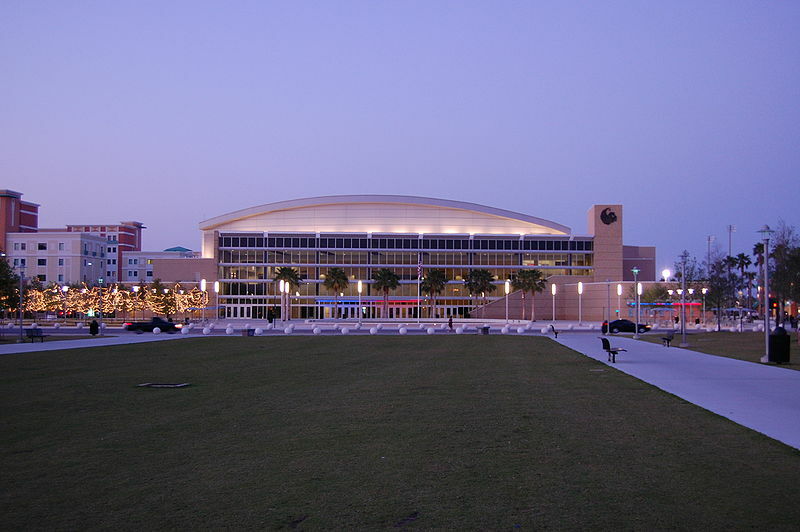 The Amway Center acted as a neutral site for the two schools and was promoted as the inaugural Florida Citrus Sports Shootout. Michael Jordan is often seen in the box seats of the UCF Arena to cheer on the Knights. This entry was posted in News and tagged sports, ucf. Bookmark the permalink.